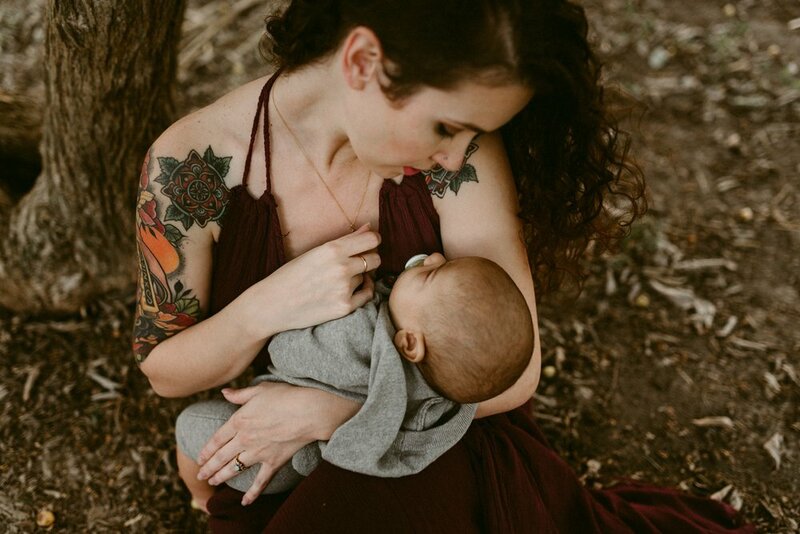 Kerlyn is a intimate storytelling photographer, specializing in motherhood portraiture, families, and weddings. Her ability to capture connections is likely one of her greatest strengths as an artist. There is always a beautiful and intimate mood in her work. Kerlyn is also a photographer for Spectrum Inspired-- a non profit dedicated to documenting the families touched by autism with authenticity. Located in Texas, Kerlyn is truly passionate about using her gifts to tell stories and share moments. We are so beyond thrilled to have her with us today on the blog and even more excited to include her course on Emotional Storytelling in our School this month! What inspires your art? I get my inspiration to dig deeper and access the more intimate and emotional side of photography from my son. He has autism and when trying to get through my 365 project last year, I realized I was not capturing many photos that told our story or showed how I felt through my motherhood journey. Since my son cannot talk or even understand the feelings we have on a daily basis, I wanted visual art that showed my love and deep connection with my family. I really delved deep into editing and directing in a way that captured all of the emotions that we cannot express as others typically would. What do you shoot with? Camera body and favorite lens? I shoot with the Nikon D750, Sigma Art 35mm, Sigma Art 24mm, and Nikon 50mm. My D750 and Sigma Art 35mm are my go to combo and fave to work with. What other ways do you express your creativity? Currently home projects help me to express myself creatively. We are in the middle of renovating our spare room into my home studio and I am working on our backyard by gardening! I'm hoping to turn our Texas yard into an English cottage garden. How do you de-stress at the end of the day? I love to water my plants in my yard, its my quest time or if my family joins me, I usually end up soaking my son down with the hose! We also do a lot of movie nights and I enjoy that time with my family or alone time with my husband. Just closing my computer desk up and being done for the day is de-stressing for me in itself. What kind of music do you listen to while editing? I love music but I usually don't listen to music while I edit because it is kind of distracting to me. You will usually find me watching The Office while I edit though! How do you handle self-doubt or creative slumps? Well I deal with depression and anxiety and in my life always actively try to shut down negativity and self doubt. I have also made great friendships with other lady creatives who know the struggle of being an artist and I'm able to talk to them about my problems. When I am in a creative slump, I'll do a session thats for me or work on my self portraits. What has been the most difficult part of your creative journey? Finding my editing style jaunted me the first year of my business and now its trying to continually be creative and grow as an artist while running a successful business. Who is one of your favorite photographers? Wow, I have so many...I'm going to say Katch Silva bc she has been one of my favorites for a long time and I have so many favorite motherhood and family photographers that I could never narrow it down.